Bodhi News & Analysis - 09 Mar. 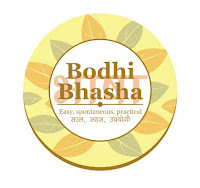 Welcome to Bodhi News for 09 March, 2017 - from Bodhi Booster knowledge portal! 1. Indian economy – The second phase of the Budget Session of Parliament begins from today. The session is important for the government because if the GST is to be rolled out from July 1, the National Goods and Service Tax (GST) Bill and other related bills need to get the consent of the Parliament now. 2. World politics – China’s foreign minister has floated the idea of expanding the scope of BRICS by inviting other developing economies to join the group under a new name –BRICS Plus. This move by China is expected to dilute India’s role in BRICS significantly, and would be a big blow to India. 4. World politics – It seems things are still not going right for US President Trump. The state of Hawaii has become the first state to sue to stop President Trump’s revised travel ban. Hawaii had sued the earlier travel ban as well. 5. Terrorism – The blast in the Bhopal – Indore passenger train perhaps marks the first attack by IS in India. The mastermind of this blast, Saifulla, was gunned down by the UP ATS in an encounter in Lucknow. Central intelligence agencies and MP and UP police have confirmed that the module owes allegiance to the Islamic State. MP police have also arrested eight other suspects in the case. The UP police has not confirmed the IS links. 6. Demonetisation – FM Arun Jaitley said that the poor people and common man supported the government’s move largely because of the general perception that the rich evaded tax and demonetization was an for redistribution of wealth. 7. Education – PM Modi said the government has streamlined the medical education sector and created 4000 new post-graduate seats in medical colleges to resolve the problem of scarcity of doctors in the country. 8. Persons and personalities – China’s foreign ministry called the Dalai Lama a deceptive actor. The Chinese foreign ministry’s response came after the exiled Tibetan spiritual leader said that a part of Chinese hard liners’ brains was missing. 9. Defence and military – China announced a 7% increase in its defence spending for the year. The Chinese announcement came soon after US President Trump called for a 10% increase in the US defence budget. There seems to be a competition between the two countries, and China is catching up in both equipment as well as capability. 10. United Nations – The UN Security Council strongly condemned North Korea’s recent ballistic missile launches and expressed serious concerns over its increasingly destabilizing and hostile behavior. The missile tests have been described as grave violation of UN resolutions prohibiting that country from developing missile technology. 1. Sir Jagadish Chandra Bose (1858-1937) was originally interested in Biology, but his teachers inspired in him interest for Physics. He obtained his B.A. degree from Christ College, Cambridge, and returned to India in 1885 and joined Presidency College, Kolkata. Bose developed the use of galena crystals for making receivers, both for short wavelength radio waves and for white and ultraviolet light. In 1895, two years before Marconi’s demonstration, Bose demonstrated wireless communication using radio waves, using them to ring a bell remotely and to explode some gunpowder. Bose was knighted in 1917 and soon thereafter elected Fellow of the Royal Society, London, (both as physicist and biologist!). 2. Srinivasa Ramanujan (1887-1920) came across the book “Synopsis of Elementary Results in Pure Mathematics” by G. S. Carr, during his high school. Influenced by it, he began working on mathematics on his own, summing geometric and arithmetic series. His research paper on Bernoulli numbers, in 1911, brought him recognition as a mathematical genius. Ramanujan’s work with G.H.Hardy of Cambridge produced important results. He made outstanding contributions to analytical number theory, elliptic functions, continued fractions, and infinite series. 3. Sir C. V. Raman’s (1888-1970) academic brilliance was established at a very young age. When he was barely eighteen, he graduated at the top of his class and received his M.A. degree with honours. He made enormous contributions to research in the areas of vibration, sound, musical instruments, ultrasonics, diffraction, photoelectricity, colloidal particles, X-ray diffraction, magnetron, dielectrics, etc. In 1928, he announced his discovery of what is now known as the Raman Effect. He was knighted in 1929, and in 1930, became the first Asian scientist to be awarded the Nobel Prize for Physics for his discoveries relating to the scattering of light (the Raman Effect). In 1934, he became the Director of the newly established Indian Institute of Science at Bangalore, where he remained till his retirement. The Government of India conferred upon him its highest award,the Bharat Ratna in 1954. 4. Meghnad Saha (1893-1956) established himself as one of the leading physicists of the time. His theory of high-temperature ionization of elements and its application to stellar atmospheres, as expressed by the Saha equation, is fundamental to modern astrophysics. Subsequent development of his ideas has led to increased knowledge of the pressure and temperature distributions of stellar atmospheres. In 1947 he established the Indian Institute of Nuclear Physics (now known as the Saha Institute of Nuclear Physics). 5. Satyendra Nath Bose (1894-1974) did his schooling at Hindu School, Kolkata, and then joined Presidency College. His teacher at the Presidency College was Jagadish Chandra Bose - whose other stellar pupil was Meghnad Saha. He derived with Saha, the Saha-Bose equation of state for a nonideal gas. In 1921, Bose left Kolkata to become a Reader at the Dakha University. It was during this period that he wrote the famous paper on the statistics of photons. It was named Bose statistics after him and is now an integral part of physics. Paul Dirac, the legendary physicist, coined the term boson for particles obeying these statistics. 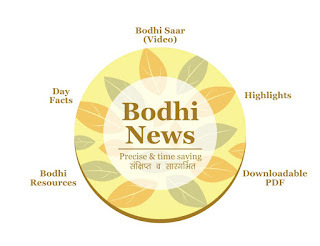 Bodhi News: Bodhi News & Analysis - 09 Mar.